Where's everyone going? Bingo? 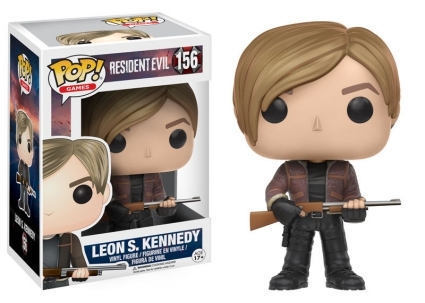 No, Leon, they're rushing to buy the Funko Pop Resident Evil vinyl figures! Focusing on the Resident Evil game franchise, the inaugural set has multiple options including a few super-sized, retail-only exclusives. With over a dozen video game releases across several platforms and a loyal fan base, the survival horror game is considered one of the greatest series in gaming history. Although the games have changed since the initial 1996 release, the basic premise remains. Set in Raccoon City, players learn the Umbrella Corporation is responsible for the biological outbreak known as the T-Virus. Resident Evil players must solve puzzles, gather clues and fight mutated humans. 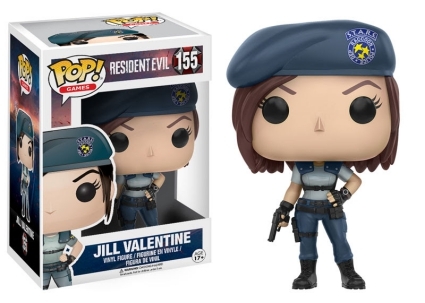 The Funko Pop Resident Evil figures include fan-favorite human characters, Jill and Leon. Jill Valentine is dressed in her Special Tactics And Rescue Service (S.T.A.R.S.) uniform and holds her sidearm. Leon S. Kennedy, a rookie cop in Capcom's Resident Evil 2, is posed in his leather jacket and gloves while brandishing his rifle. Continuously upping their game, Funko proves it's all in the details. 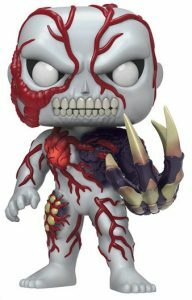 Funko Pop Resident Evil mutants, while kind of adorable, keep their monstrous appearance. 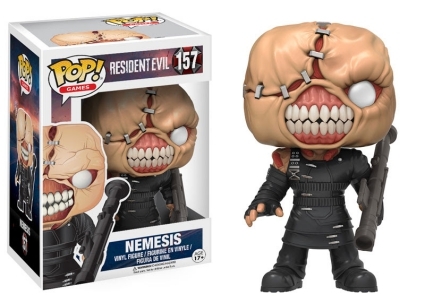 Nemesis' scalp and left eye are stapled together with his sharp teeth visible while wielding a rocket launcher. 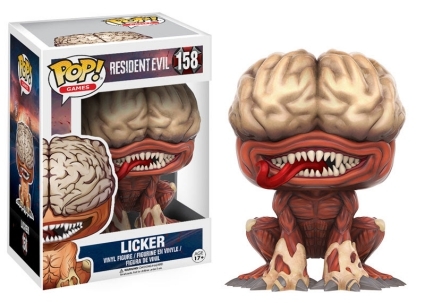 Shown with a smile and tongue sticking out, don't let the cuteness fool you as Licker is a dangerous foe who will actually lick the player to death. Numbered as part of the growing Pop! 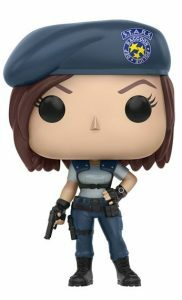 Games line, Funko Pop Resident Evil also offers collectors three 6" Super Sized Pops. 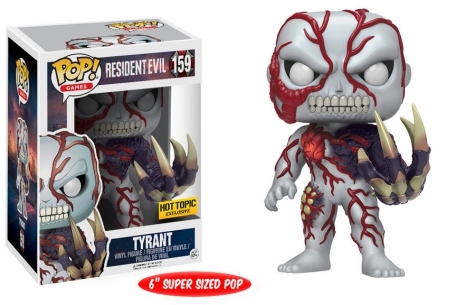 With its large clawed hand, blood vessels, puss pockets, and heart on display, Tyrant is a Hot Topic exclusive. Meanwhile, the glow-in-the-dark Tyrant can be found only at Target locations. 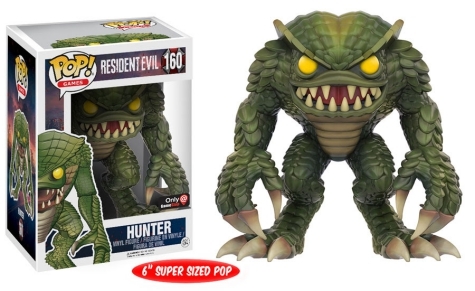 Finally, the big lizard-like boss with green scales and yellow, glowing eyes, known to gamers as Hunter, is issued only at GameStop.